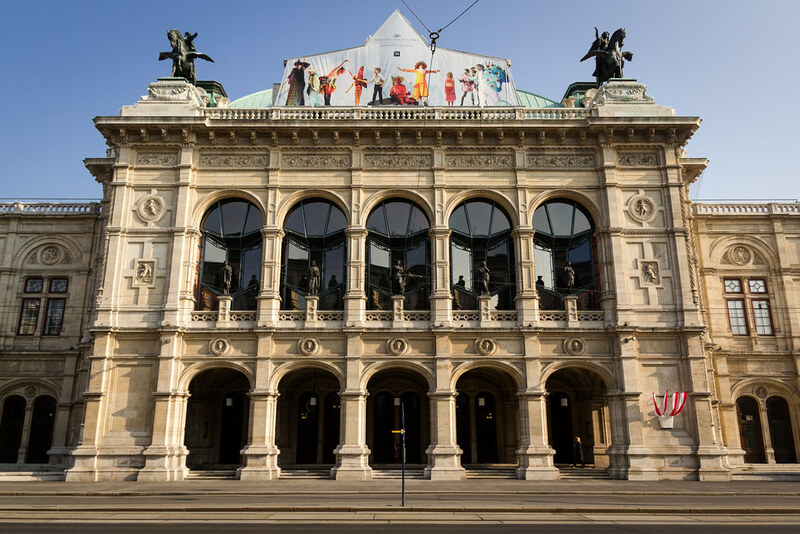 The Vienna State Opera House stands today as a proud symbol of Vienna’s incredible history. The history of the Vienna State Opera is nothing short of remarkable. From its construction in 1869 to today, this historic institution has lived through many great sweeps of European politics. From the culture of the High Renaissance and the declining power of the Ottoman Empire to the fall of the Hapsburg Monarchy and the US Marshall plan, the grandiose building has seen just about anything you can imagine. If you’re curious, read on to see how these forces of history have shaped the Vienna State Opera into the artistic powerhouse it is today. The Ottoman Empire and its great Sultans represented an existential threat to Vienna for centuries. Following two immense sieges of the city in 1529 and 1683, the Ottoman tide began to recede back across the Balkans with the Austrian and Russian Empires close behind. The threat of the Ottomans, along with that of the Hungarians earlier, led to the construction of one of the most extensive sets of city fortifications in history. But by the mid 19th century, these threats were gone and the monumental walls of Vienna were becoming a barrier to trade and commerce. In response to these problems, Emperor Franz Joseph I of Austria ordered the fortifications and moats be destroyed to make room for a massive ring road which would become the centerpiece of his new Vienna. This change was in line with Napoleon’s demonstration in France that wide boulevards made crowd control much easier. The Vienna Court Opera (as the building was called until the fall of the Hapsburgs) was the first major building completed along the new ring road. Built in a grandiose Neo-Renaissance style to reflect the origins of its art, construction began in 1861 and finished in 1869. Surprisingly, the public was far from pleased with the design of this centerpiece of the new Vienna. They believed it to be insufficiently grand, even if this is difficult to imagine for any modern visitor. This unfavorable impression was at least partly due to the fact that the level of the Ringstraße was raised by one meter, making the building looking as if it was sinking. The opera house was callously called the ‘Königgrätz’ of architecture, referring to the disastrous loss to the Prussians in 1866 in response to these criticisms. But the Court Opera would soon face much greater dangers than a cynical and critical public. The Vienna State Opera House in 1898. While Vienna escaped any serious damage during the dark years of the First World War, the end of the Austro-Hungarian Empire and birth of the Republic of Austria in 1920 meant it was time for a name change for the Court Opera. So, in that year, the Vienna State Opera was born. Unfortunately, Vienna’s luck didn’t last into the Second World War. Extensive bombing destroyed or damaged much of the historic city center. After escaping much of the war intact, the Opera was significantly damaged by allied bombing on March 12th, 1945. After the war, debate raged over what should be done with the structure. Ultimately, conservation reigned and the Vienna State Opera was restored to its original splendor between 1948-1956. But, at the beginning, everyone was wondering: where was the money going to come from? Austria was independent but broke. Enter the US Marshall Fund. Designed to rebuild Europe, the Marshall Fund joined tax revenue, private contributions, and even donated materials from the Soviet Union in rebuilding the opera house. Conductor Karl Böhm conducted the first opera performance in the post-war era: Beethoven’s Fidelio. Fortunately, much of the building’s interior remains original. By now, the Vienna State Opera has experienced it all. Today, it continues to explore the boundary between the modern and the traditional, just as the city of Vienna does the same. Where you’ll find the Haas House and St. Steven’s Cathedral, you’ll also find Phillip Glass and Strauss. Learning these stories helps uncover the richness of the city and its great art. So the next time you book tickets for the State Opera house, remember you’re standing on reclaimed land which once defended the city from the Ottomans. You’ll be seeing a mixture of the original structure alongside areas rebuild with donated material from the Soviet Union. This living piece of history is certainly not to be missed, so take a look at the Vienna State Opera schedule and book your tickets today. Eric is a writer, traveler, historian, and music lover who's spent the past few years based in Budapest and Sofia. Over several trips to Vienna, his fascination with opera has only grown. In particular, he always enjoys seeing The Marriage of Figaro and Macbeth. This entry was posted in Vienna Opera.